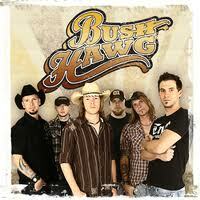 Bush Hawg out of Nashville, they are making their way to Hermann, MO. and we love country music…how about you? They will take you on a ride through the swamps and down the back roads of pure American country music and Southern rock-n-roll. You’ll love their sound. After the concert come back to our Missouri bed and breakfast and be treated to warm cookies, ice cream, and Hermann Hill Port Chocolate-Raspberry Sauce which will be delivered to your room. How’s that for an experience?